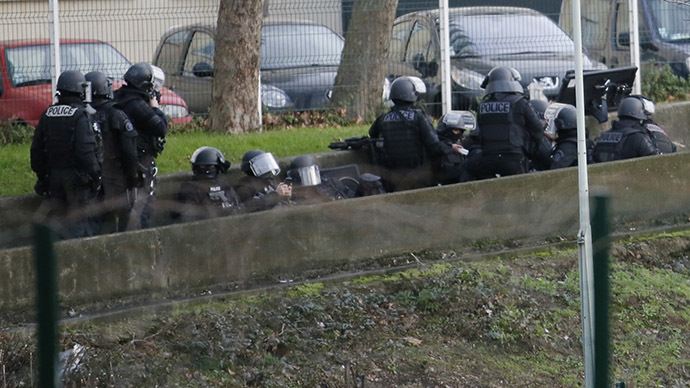 Members of the French police special forces take position near the scene of a hostage taking at a kosher supermarket near the Porte de Vincennes in eastern Paris January 9, 2015, following Wednesday's deadly attack at the Paris offices of weekly satirical newspaper Charlie Hebdo by two masked gunmen who shouted Islamist slogans. 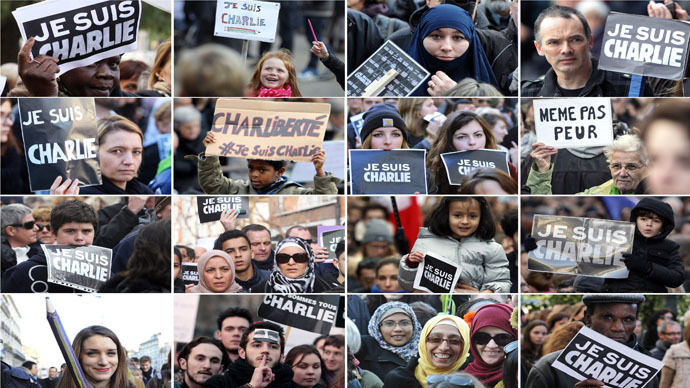 BFMTV managed to contact both the Charlie Hebdo massacre suspects and the Paris store hostage taker. The latter claimed he coordinated actions with Kouachi brothers, who said they had links with the Yemeni branch of Al-Qaeda. 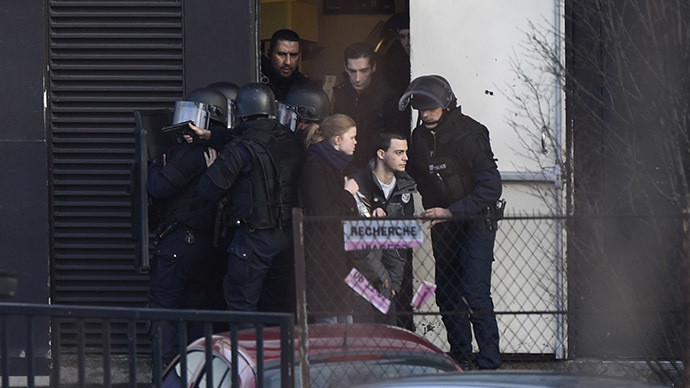 Cherif Kouachi, one of the two brothers suspected of killing 12 people at the office of Charlie Hebdo satirical newspaper on Wednesday, told the French channel that they carried out the attack on behalf of Al-Qaeda in Yemen. In his pre-recorded television interview with BFMTV, Amedy Coulibaly, who took hostages at the kosher grocery store in Paris on Friday, said that he was working together with the Kouachi brothers. “Yes we were synchronized for operations,” he said. Coulibaly, who is also wanted for the murder of a female police officer on Thursday, claimed that he was linked to the Islamic State (formerly ISIS/ISIL) jihadist group. All three perpetrators were eliminated on Friday evening in two separate operations by the French police. 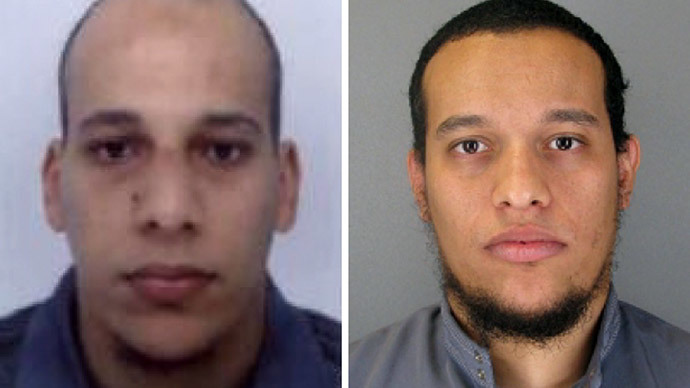 The large-scale manhunt for Cherif Kouachi and his older brother Said Kouachi concluded in the Dammartin-en-Goele, located 30 kilometers north-east of Paris. The two suspects were gunned down in a shootout with the security forces after being cornered at a local printworks. Coulibaly was killed as the police stormed the grocery store in Porte de Vincennes in Paris. However, the hostage taker managed to kill four people before being shot dead.